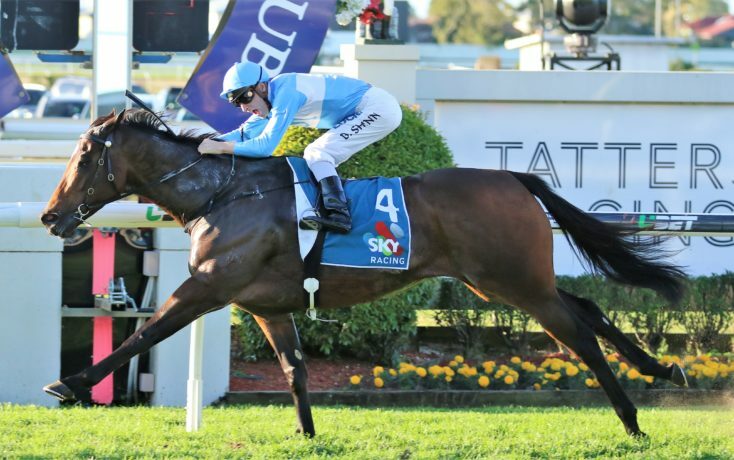 Blue Sky Bloodstock runners enjoyed a massive run of success this past June with no less than 9 individual winners of 11 races, highlighted by PROMPT RESPONSE winning the Group 1 Tatts Tiara and LEAN MEAN MACHINE taking out the Group 2 Sires Produce Stakes during the Brisbane Winter Carnival. Blue Sky juveniles continued to perform brilliantly with 3 winners (EMBRACE ME, ROMANTIC BONANZA (HK) and JENKINS) all scoring wins, taking Blue Sky to 13 individual 2yo winners in 2017/18 of some 20 races, highlighted by star Magic Millions Classic winner SUNLIGHT and exciting ZOUSTAR colt LEAN MEAN MACHINE. Our results reflect the continued support of our valued clients at the yearling sales and we look forward to seeing many of these runners in the spring, summer and autumn carnivals of next season.